Romans 1:16 - I am not ashamed of the gospel, because it is the power of God for the salvation of everyone who believes: first for the Jew, then for the Gentile. Good Website design is a vital part in the process of getting your organisation / church / business online. Visitors to your site require a professional, well designed site which enables them to quickly complete their user tasks. 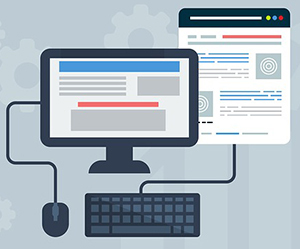 Web page design requires a strong understanding of the end user’s needs and the various platforms on which users will view the page (computers, tablets, smart phones, etc). You will need to consider if, and how, you plan to implement the majority of these elements into your design. Learn Web Design & Development with SitePoint tutorials, courses and books. Jakob Nielsen is a Danish web usability consultant. He writes a fortnightly newsletter, Alertbox, on web design matters and has published several books on the subject of web design. Learn how to successfully design your own web page by focusing on the way your end users interact with your content. Just for fun a deliberately bad website designed to graphically demonstrate the most common mistakes made by new Web Page designers.